I started out wanting to wait out the whole pregnancy this time to find out whether baby was a boy or a girl. But Paul really, really wanted to know... and so we finally struck up a deal that he would know and I wouldn't. Which lasted for almost a month, before I realized that I just wouldn't be able to handle him knowing while I didn't know. 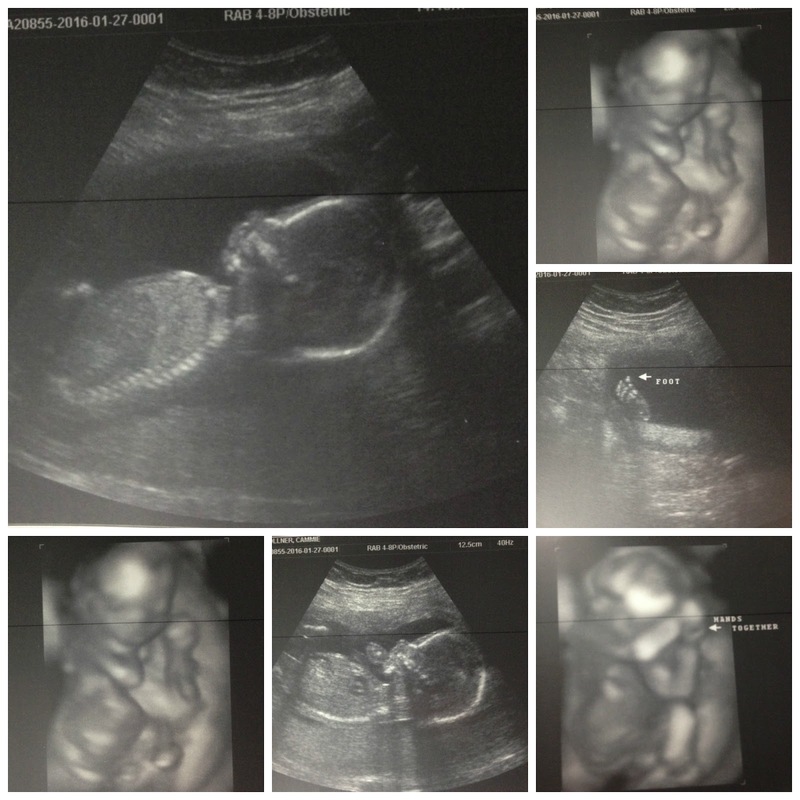 So yesterday, at 17 weeks and two days, I went in for an ultrasound. And I announced the news that Sadie had been waiting to hear. I'd had a strong feeling about what we were having, and Paul claimed to be totally certain. I'd only had bad morning sickness and three time a week migraines with the girls. And since morning sickness and migraines have plagued the first trimester, and are now a big part of the second trimester, I was guessing pink (as was Paul). Almost immediately when the tech began the ultrasound, the baby was in position and we were able to see that our little tie breaker is in fact going to give me a chance to pull out the boxes of fluffy dresses and the cute pink and purple onsies out of the basement. Which works out well since our boys were born in October and November and our girls have birthdays in June and July, meaning that the sizes should be pretty accurate for the seasons again. Sadie was elated and ran around the house excitedly telling everyone. When told Patch said "okay" in a totally disinterested voice. And that is our big week for day month! I can hardly believe that we're to the point where they can already tell! Halfway point, here we come! Thank you for sharing. I love your blog and enjoy hearing about your family. My DIL is about 4 weeks behind you, with twins, so it's been fun reading about your baby and watching my GrandBabies grow! Congratulations! I am glad Sadie is so happy!